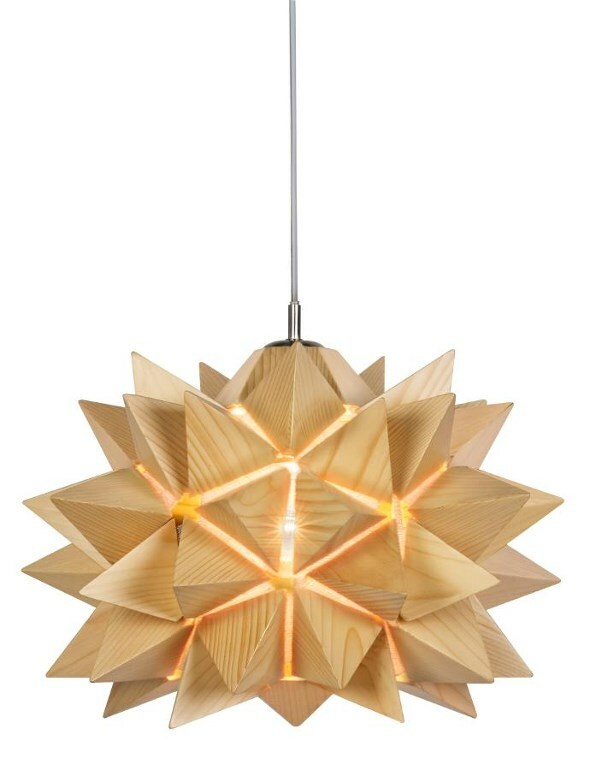 This lighting fixture has a unique design typical of its creator Vito Selma. The pieces snap open at just a touch so the owner can create the pattern. The structure can be totally opened for a star-like effect or some parts can be left closed for more variation. The warmth of wood adds to the light’s beauty.